6/17/93 at the The Gay Buddhist Fellowship, San Francisco. Sogyal Rinpoche's book , which Dr. Harvey co-authored,The Tibetan Way of Living and Dying was a focus of discussion. Profound and delicate at the same time. As has been the case at the end of the two previous millennia, natural and historical signs are again read prophetically to indicate that humanity and the Earth are again approaching an apocalypse. Rudolf Steiner and Sri Aurobindo offer prophetic accounts of the future as well as cogent accounts of the past and present of the evolution of consciousness. In this lecture, Andrew Harvey and Robert McDermott share opinions on the teachings of these spiritual masters concerning the future, and how best to work with these teachings in the present. 6/22/93 at the Unitarian Church, San Francisco. Taungpulu Kaba-Aye (World Peace) Monastery was established in 1981 to propagate the teaching and practice of Theravada Buddhism. The Monastery is located on 6.5 acres of forest land in the heart of the Santa Cruz mountains. The Shwe Thein Daw (Peace ) Pagoda, unique in the western hemisphere, is benefited by this powerful lecture extolling the accomplishments of the science of mind achieved by the global Buddhist community while admonishing the neglect of the conditions the Buddhist nuns must endure worldwide. A most unusual and divine mixture of spirit and mundane. 6/23/93 The stages that are classically experienced by the persevering seeker of the white light are enumerated by Dr. Harvey while he candidly enraptured the private study group gathering with what he called his advanced teachings. That event was his most intimate engagement available on video in "The Mother Series," 1993. The entire mystical cycle common to all the worlds inner traditions--longing, fulfillment, loss, mourning, and final union with the Divine--is penetratingly portrayed in these incandescent poems by Rumi, greatest of the Sufi poet-mystics. In 1244, when Rumi met Shams I Tabriz, the tidy respectable life of this young scholar and teacher was shattered by the sheer power and fury of Shams spiritual presence. Then Shams disappeared; Rumi was stricken, but from his grief came great poems of love, ecstasy and pain that enshrine and celebrate the mystery of a Presence beyond time and space. This interview by Faustin is a good introduction to Andrew Harvey's large body of work and particularly his forth coming series on the mystical Sufi poet RUMI and was published in Magical Blend Magazine in 1994. The entire course as presented at California Institute for Integral Studies sparingly edited and packaged to use as a course or each as inspirational segments with each session informationally standing on its own. The fourth class session (the material of 4/28/93) of the RUMI series presented at The California Institute for Integral Studies sparingly edited and packaged to use for a course or as inspirational segments. Grief and tenderness...simultaneous being ...enter into my smile. The tenth class session (the material of 6/9/93) of the RUMI series presented at The California Institute for Integral Studies sparingly edited and packaged to use for a course or as inspirational segments. The twelfth class session (the material of 6/23/93) of the RUMI series presented at The California Institute for Integral Studies sparingly edited and packaged to use for a course or as inspirational segments. The seventh class session (the material of 5/19/93) of the RUMI series presented at The California Institute for Integral Studies sparingly edited and packaged to use for a course or as inspirational segments. The first two class sessions (the material of 4/7/93 and 4/14/93 ) of the RUMI series presented at The California Institute for Integral Studies sparingly edited and packaged to use for a course or as inspirational segments. The eighth class session (the material of 5/26/93) of the RUMI series presented at The California Institute for Integral Studies sparingly edited and packaged to use for a course or as inspirational segments. The ninth class session (the material of 6/2/93) of the RUMI series presented at The California Institute for Integral Studies sparingly edited and packaged to use for a course or as inspirational segments. The sixth class session (the material of 5/12/93) of the RUMI series presented at The California Institute for Integral Studies sparingly edited and packaged to use for a course or as inspirational segments. The eleventh class session (the material of 6/16/93) of the RUMI series presented at The California Institute for Integral Studies sparingly edited and packaged to use for a course or as inspirational segments. The fifth class session (the material of 5/5/93) of the RUMI series presented at The California Institute for Integral Studies sparingly edited and packaged to use for a course or as inspirational segments. The third class session (the material of 4/21/93) of the RUMI series presented at The California Institute for Integral Studies sparingly edited and packaged to use for a course or as inspirational segments. 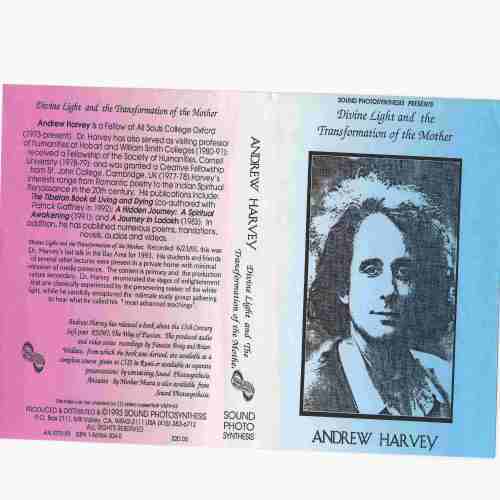 The set of eight edited Harvey audios includes all the recordings that revolved around the topic of Mother Meera. After editing eight different events with types of audience arrangements from large halls to private living rooms, Andrew Harvey and SOUND PHOTOSYNTHESIS composed the following package to introduce and give continuity to the experience of Andrew's interpretation of the Mother: The Work of the Mother On the Return of the Mother, The Way of the Mother, Buddha and the Mother, and Divine Light and the Transformation of the Mother. By ordering the whole set at $72.00 in an album you can save at least $8.00 on the same titles individually. The videos are available under the same title with a short term discount for purchasing the whole set of four tapes. 6/18/93 at the Cultural Integration Fellowship, San Francisco. 6/8/93 This was the fist talk we recorded in the Mother Series about Mother Meera at CIIS. 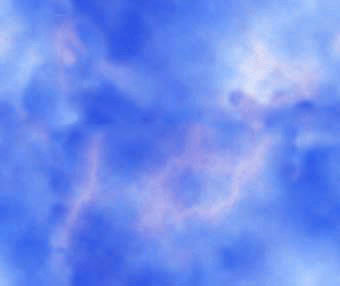 One can sense the beginning of a movement that will escalate rapidly toward the beginning of the 21st Century. 6/8/93 He talked about adoration, he read his own poetry and he made personal observations about his travels and spiritual journey.